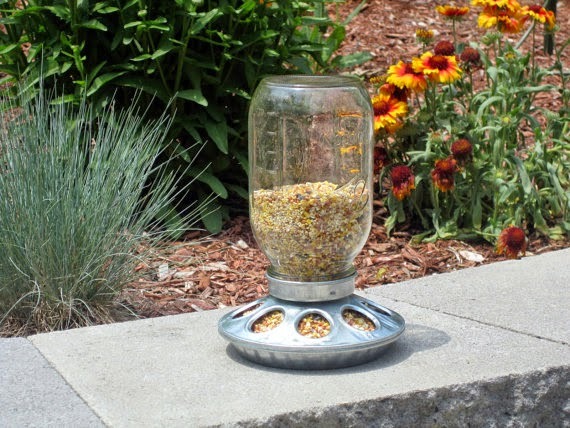 Every garden, be it flowers or vegie gardens, needs a bird feeder close by and this neat upcylcled Mason Jar bird feeder from RecyclingTime fits the bill for that. Now every garden area needs a birdhouse to go along with the bird feeder you have. 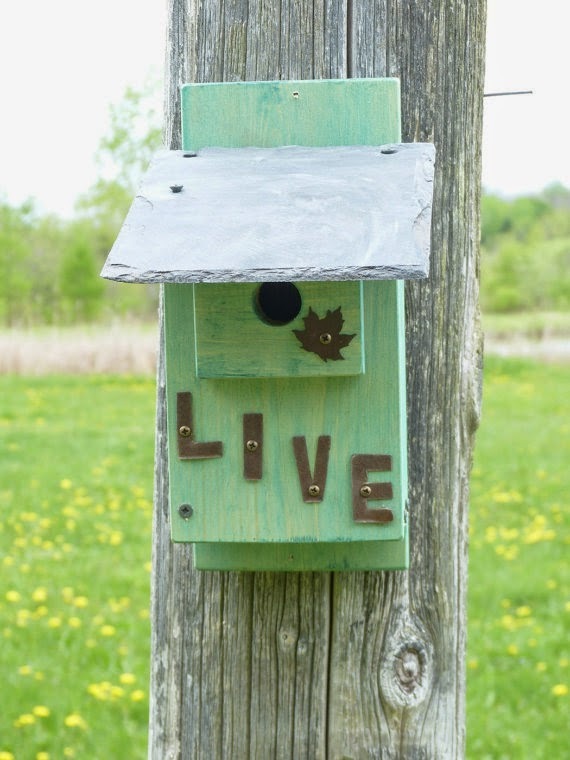 This recycled birdhouse from OutOnALimbADK even has a recycled slate roof. How neat! 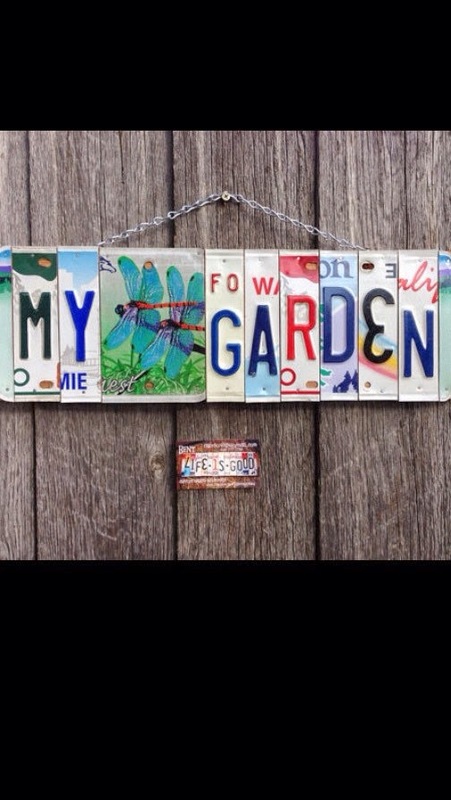 And a garden wouldn't be a garden without a sign. How about this upcycled sign! How different is this one. 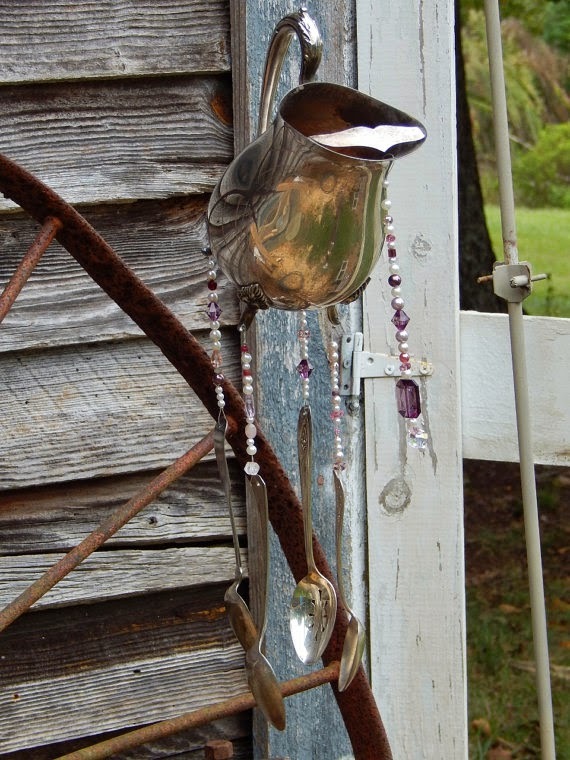 It is made from recycled license plates. What a cool idea. And 1BentKeepsake has this and several other signs made from license plates. Looks like there are a lot of ideas for goodies for your gardens. Just make a trip to your local thrift store and see what ideas you can come up with or just visit all the great Etsy shops.